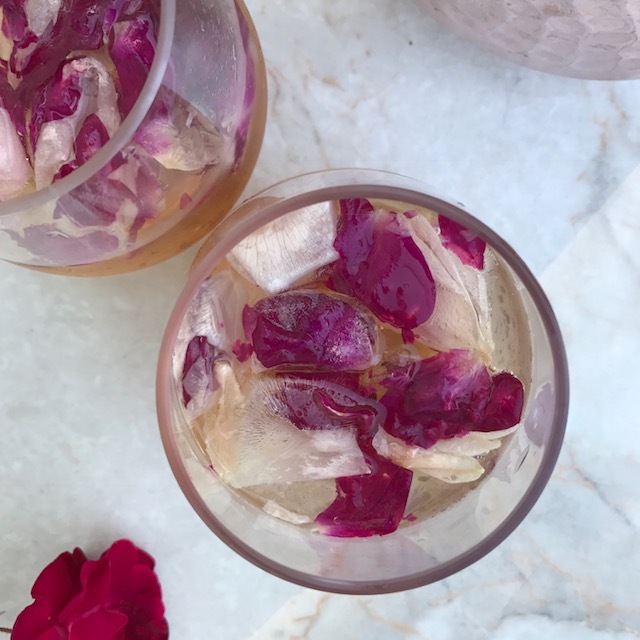 Rose Petal Cocktails - Nisbets Australia Blog - Industry news, trends, recipes and more! "A festive and easy way to add glamour and romance to any menu." Clean rose petals under water, making sure to remove any residue or debris. Place a generous amount, (2-4 rose petals, depending on size) into a standard size ice tray. Top with filtered water. Freeze until solid, (about 2 hours). In a small saucepan, heat honey. Add in peach Schnapps. Mix until combined. Allow to cool. (Can be made ahead of time). 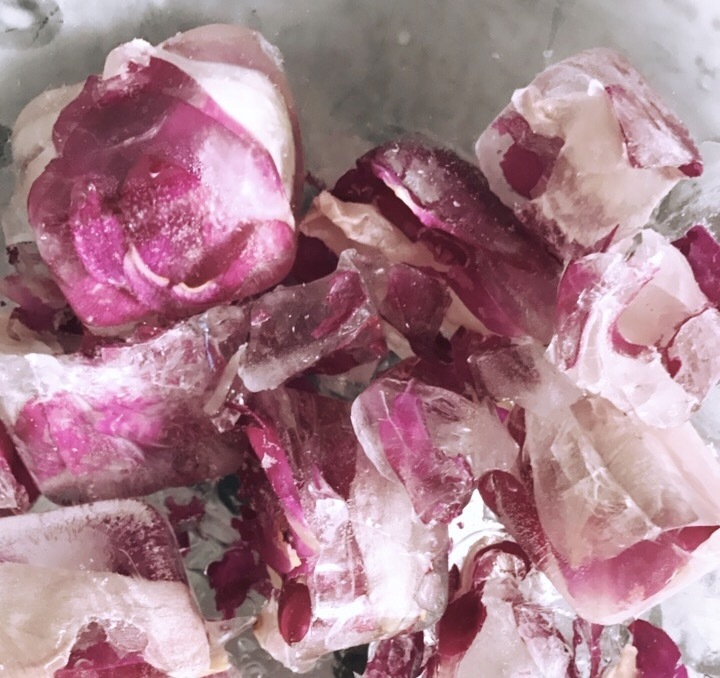 Into a rocks or stemless wine glass, fill with rose petal ice cubes. Pour cooled honey/ Schnapps combination. Add vodka and top with champagne or sparkling wine. Add a zest of heated blood orange or citrus fruit to balance. Garnish drink with a stem of small roses, and present immediately. Alternate presentation: Serve alongside dessert, using only champagne. Tun this simple template into a winter drink instead: Forego the roses and add juniper berries to ice (about 10 grams).Create a delicous and savory gin and tonic, perfect for a steak dinner. Shake up the liquors and guests! Present this drink without the honey, and let guests pour warm honey over the ice. The melting ice will surely be a fun experience. Serve this alongside an appetizer for brunch. Adjust serving size to a pitcher ofsangria, and let guests pour their own flower infused cocktail. Substitute peach Schnapps for Grand Marnier or Triple Sec, and infuse heated orange peels (3-4 grams) into the drink. Include some chopped up fruit (20 grams).